The captain was on the bridge of the ship when he saw the track of the torpedo about 300 feet away, but by then it was too late. 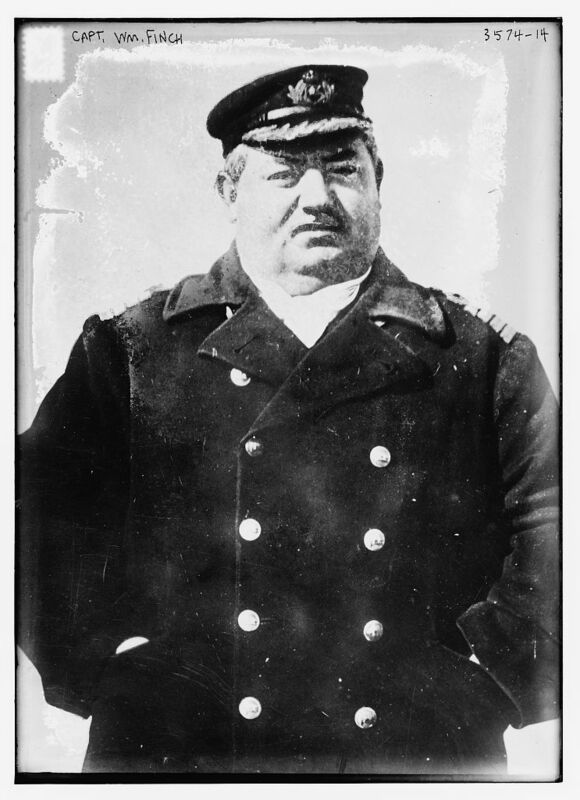 Captain William Finch was a portly man, but I imagine him moving faster than someone of his build would be expected. I can almost see those jowls quiver as he issued his final commands before the torpedo struck, sending a huge column of water into the air and hurling him into the sea. Finch was sucked beneath the roiling waves, but he fought for his life and managed to make his way to the surface. It was August 19, 1915, and his passenger ship, the SS Arabic, was in its death throes, having been torpedoed without warning by German submarine U-24 just four miles off Ireland’s Cape Clear. There were 180 passengers – 145 British, 26 Americans and several Spanish, French, Belgians and Russians -- on board, as well as 250 crew, travelling from Liverpool to New York. Fourteen lifeboats were launched, and all the passengers donned the life jackets that had been placed around the ship’s deck. Finch and his men must have worked very fast because in little over 10 minutes the SS Arabic would be gone, taking 44 lives with her. Had it not been for the quick actions of captain and crew, the number of fatalities would have been higher. As William Finch said later about the engineers, who stuck to their posts up to the last moment: ‘They were heroes a thousand times over, who carried out my orders from the bridge, even when they knew the ship was sinking. A little over two months earlier, on June 9, the luxury liner RMS Lusitania was struck by a torpedo just a few miles from the Arabiic’s position. It sank with the loss of almost 1,200 lives. 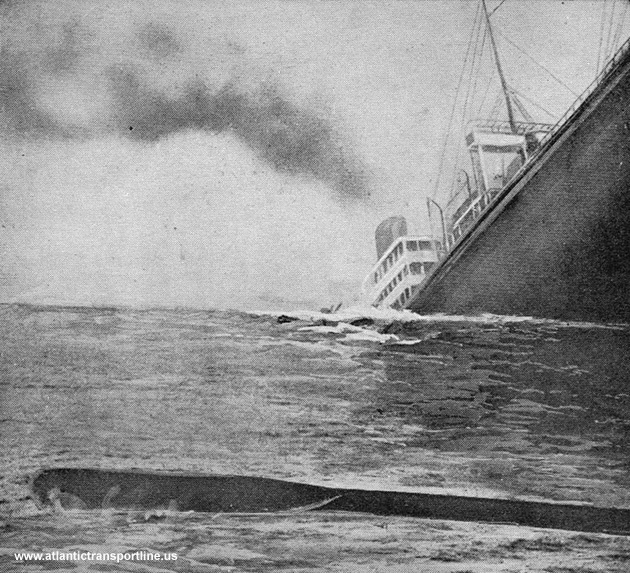 On October 10, 1918, the RMS Leinster would suffer the same fate. A German submarine sank it as it travelled across the Irish Sea to Holyhead. A total of 529 civilian and military passengers were killed that day – the greatest ever loss of life in that stretch of water and the greatest loss of life on an Irish-registered ship. I’d never heard of the Leinster, much less the Arabic. It is ships like the Lusitania and the Titanic that we commemorate. The loss of life was greater in those tragedies, and in the numbers game that sometimes is history, they qualify as somehow being more significant. Tell that to the families of those on the Arabic, who felt the weight of their loss almost a hundred years ago to this day. History can be as unforgiving as the cruel sea. It takes complex, nuanced lives that were filled with passions, secrets, loves and fears, and then consigns them to its dusty depths, leaving only a statistic to be browsed by the mildly curious. I’ll think of the Arabic in the days ahead. That’s not much as far as commemorations go, but it’s all that’s left. I, too, will think of the Arabic in the days ahead. Thank you, Mr. Lawlor, for this post. Great story to bring to mind the others who may not receive the same recognition. Thanks David. I've recently finished reading Erik Larson's excellent book, Dead Wake, that relates the last voyage of the Lusitania. You are right - certain ship tragedies get all the attention. But as you study history you find there are many, many tales that also deserve to be told. As you say - every family touched by an event like the sinking of the Arabic has suffered a loss. For anyone interested in what that experience may be like, Larson's book effectively humanizes the tragedy of these indiscriminate torpedo sinkings. Thanks Patrick. Larson's book certainly sounds like an interesting read. I'll check it out. David, you should. It is a terrific read. If you are not familiar with Larson's work he has a gift for weaving historical facts and evidence into a compelling narrative. History written as mystery. In addition to the humanizing quality of his writing about the Lusitania there is a great deal of intrigue and politics that is exposed. I would say, possibly, some interesting context regarding the protection, and lack of protection, of merchant and passenger vessels at the time and how this served strategic interests - some of which may apply to the story of the Arabic.